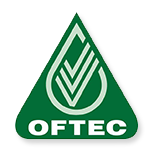 Logic4training’s OFTEC oil boiler training and assessment package covers the three main OFTEC certificates: OFT101, OFT105E and OFT600a. The cost of the course includes training, assessment and the certification fee. The oil boiler course is best suited to experienced installers. Candidates must meet OFTEC entry requirements 1,2 and 3. OFTEC training manuals can be purchased at the centre. There are four training manuals in total which cost £35 each or £140 for all four.